Julia Bourne grew up in the Midlands of England and has enjoyed travelling ever since her parents took her camping around Europe in the late 1960s. She prefers to be self-employed and has run many varied businesses in landscaping, the retail trade and even an introduction agency. 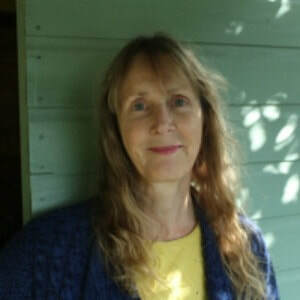 Julia has an interest in psychology and took a Bsc in social science subjects with the Open University in her forties, at the same time researching and writing her book Middle England to Middle-earth, and home-educating her two children, one of whom was borderline ADHD. She has also studied personal growth, counselling and parenting. Julia and her family spent eighteen months travelling in a caravan and motorhome around Britain, New Zealand and Australia; their adventures form the subject of her book. She has no previous publications. Her website can be found at silverstreambooks.com. A hyperactive son, mounting debts and a stressful lifestyle result in drastic action. Julia and Henry seek to escape by selling their house and going to New Zealand: a quirky country that has attracted them because they love the Lord of the Rings film trilogy. With their children Joe, seven and Freya, aged three, they travel extensively on both islands in their own motorhome, searching for film sites, trying daring activities, discovering hidden parts of this magnificent country and hidden parts of themselves, as their family relationships are tested. Before they travel to New Zealand, this rather chaotic family decide to do a warm-up in their own country, touring Britain in a battered old car and caravan, wild camping in strange places,meeting fellow home educators and getting into some humorous scrapes.